Great for any event. Watch as every child's face lights up when we arrive! 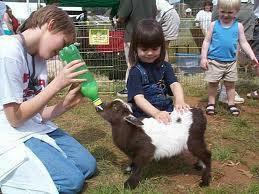 Our Petting Zoo is hands on and educational. 20 - 25 baby animals for your enjoyment. Birthday parties include little chairs for each child and a baby blanket for each little lap so they can hold our baby farm friends! Hand sanitizer always provided as well! We need a 20 x 20 shaded area. Don't miss out on having these wonderful farm friends at your next party! Live Nativity...Journey thru Bethlehem events!